1. 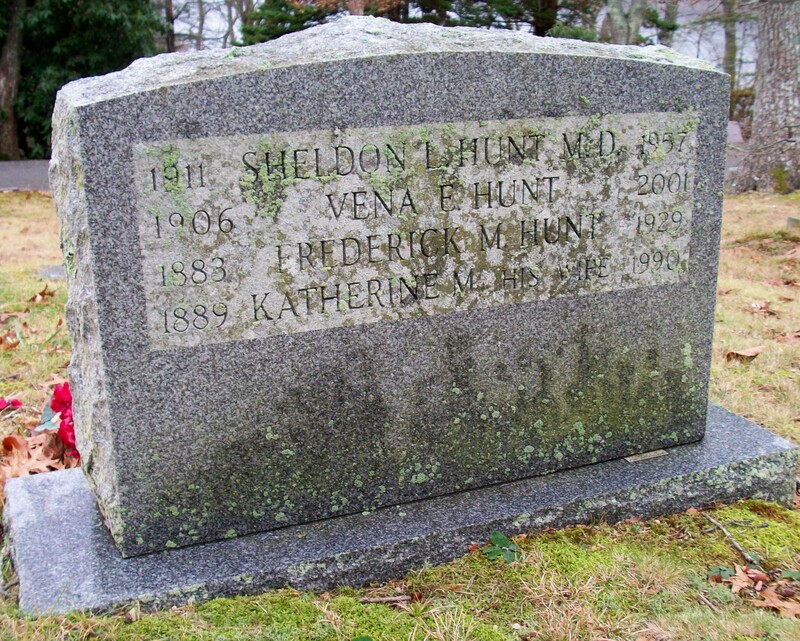 Sheldon Leslie Hunt, M.D., WW ll; (August 29, 1911 – December 21, 1957); Married Vena Elizabeth Knowles (1906 – 2001) (John Sanborn Knowles & Tarna Alberta Downing) in Freedom N.H. on September 11, 1937; Sheldon & Vena are buried in Cataumet Cemetery. 2. 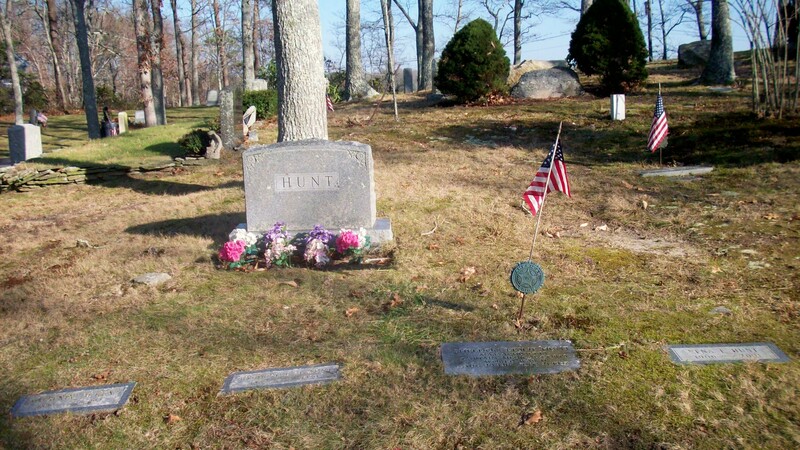 Dorothy Alyce Hunt; (March 6, 1914 – November 1992); Dorothy was a member of Bourne High School Class of 1931. 3. 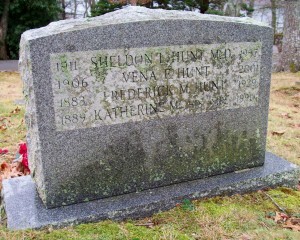 Barbara Moore Hunt Hale; (July 18, 1916 – March 5, 1997); Married Allan Murray Hale, Judge (1914 – 1997) (Elmer Lawrence Hale & Annie Laura MacLeod) in Bourne Ma. on June 7, 1941; Barbara & Allan are buried in Nemasket Hill Cemetery in Middleboro Ma..